When in California I introduced myself to quite a few great food items that I’d like to recommend to anyone who plans on visiting San Francisco or/and the Bay area. I had a chance to discover some great (or bad) restaurants and I can give you advice on where to eat and where not to eat, just like I did in Los Angeles. Obviously, I might have missed out on some delicious meals of the Golden State, but I’ve decided to choose some regional places and items. Here is what I recommend when it comes to San Francisco food & wine. Napa Valley doesn’t need an introduction, as it’s one of the most prime wine regions of the world. 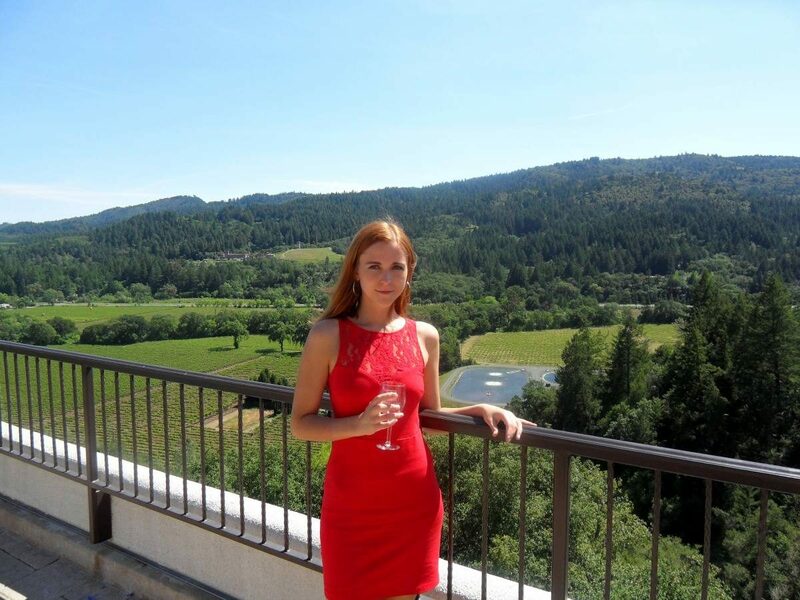 I recommend Sterling Vineyard, located in the Calistoga region of Napa, as it’s one of the most fun wineries in the area. It seemed like a bit of a more interesting option than a simple wine tasting. This vineyard can be reached by an aerial tram and the views are definitely worth it. The tour contains of a self-guided tour and a wide variety of wines served on a terrace. My personal favorite was a glass of their white bubbly. A trip to the Bay area would be lost without trying some California famous chocolate at Ghiradelli. I got introduced to their stores years ago when as a poor student I discovered that you get a square of chocolate every time you decide to enter the store – don’t ask me how many times a day my friend and I walked into some stores sometimes. 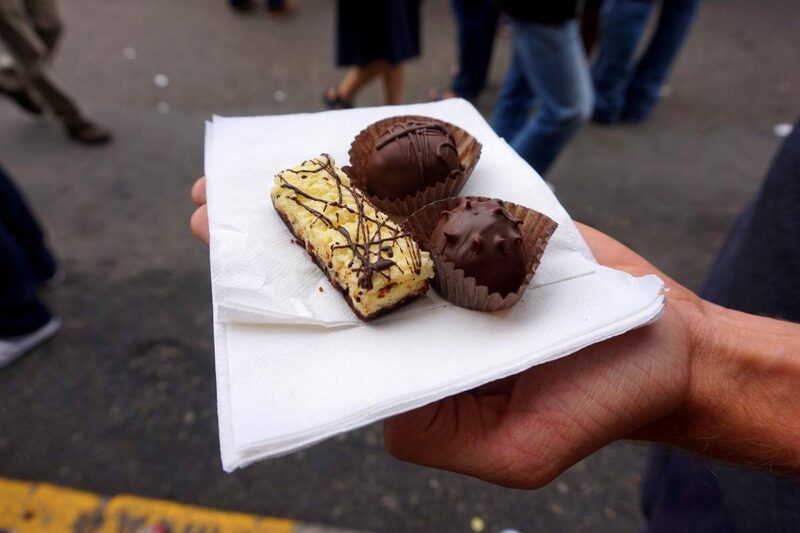 If you’re visiting California in September make sure to get tickets to the chocolate festival in San Francisco as it’s one of a kind event. 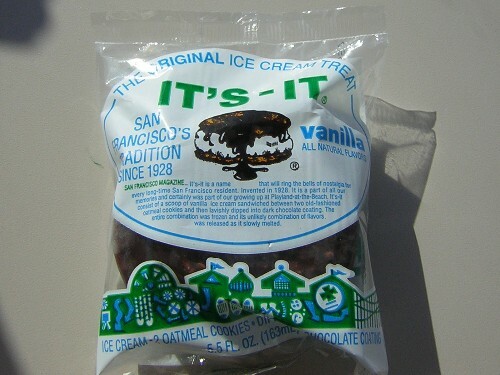 It’s-IT is a type of ice cream available only in California. It contains a scoop of vanilla, mint or cappuccino ice cream sandwiched between two big oatmeal cookies, all dipped in dark chocolate. It’s a huge dessert, so don’t try to eat it all by yourself! This award winning pizza chain from the Bay area of the Sunshine State is definitely worth a visit. I had a chance to try it and I’d especially recommend the pesto slice. I loved how they pack a slice of pizza in an individual pizza box super cute! 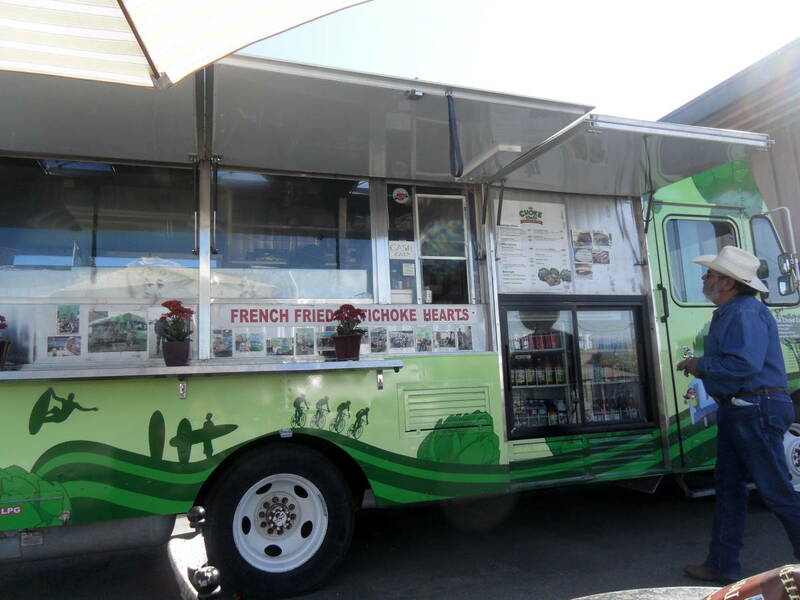 California loves food trucks! Trucks selling Mexican food can be found pretty much anywhere, especially at gas stations and believe me, they are always busy. They are ran by Mexicans, but had to adjust their standards to Californian expectations and the most popular dishes served by every Mexican places are… burritos. As mentioned before in a post about Mexican food burritos are eaten only in some Northern part of the country and definitely not in Mexico City. But when in San Francisco you should head to El Farolito and try one of their signature stuffed burrito. If you’re brave enough you can even get a tongue or head meat in your roll. There are many food trucks in California selling you any kind of food you imagine, but… nothing can beat fried artichoke hearts. It’s definitely one of my favorites! You can get them near Gilroy, also known as the garlic capital of the world. Just don’t try to kiss anyone after your very garlicious visit! Due to a high level of Indian immigrants to California Indian restaurants are booming. 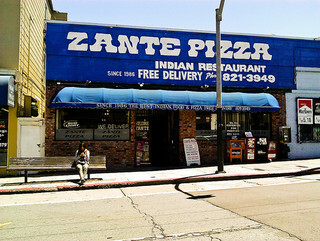 However, some Indian dishes might be modified to suit American tastes – like one of the Indian Pizzas served at Zante’s Pizza in Bernal Hights of San Francisco. I’ve never imagined myself trying a pizza with chicken masala on top, but it turned out to be a great choice. If you’re visiting this restaurant don’t forget to try the soup as it’s delicious. The Stinking Rose is slightly touristy, but it’s a fun place to visit if you like garlic. The minute you step foot out of your car, you’re smacked in the face with the smell of garlic! The restaurant is very quirky and has a fun decor and you may even rent a garlic hat, but you can’t escape the garlic – even if you’re up for a dessert or ice cream. It’s all delicious, so don’t be afraid. Shown by a Persian friend I tried Persian dishes for the first time. To my surprise California hosts plenty of Persian/Iranian restaurants. 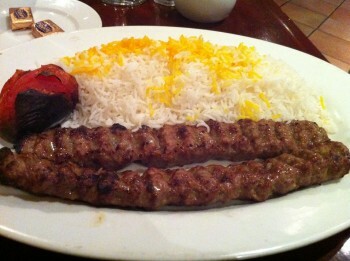 Iranian food is mostly grilled meat, and even tho I’m not a big fan of meat I loved it. I was a big fan of koobideh that’s a minced beef and onions. You can find small local spots literally anywhere in the city. What’s your favorite San Francisco food? Yes southern california is full of persians (as the iranians like calling themselves here). I never even knew that there is such a big population of persians in the US until i got here. great post anna! Yes to food trucks!! I had FANTASTIC tacos in Oakland, and that coming from someone who lives in a largely Mexican ‘hood in Chicago, where taquerias abound. And dim sum in Chinatown is definitely not to be missed. That’s some of the best food you can find in SF. So far I saw only NYC’s China town (apart from real towns in China) and it was great! As a foodie passionate for pizza, I’d love to try that slice. Got curious about the Iranian food, would like to try it. That pizza is calling my name! I love the variety of food shown here! I have never tried the In-N-Out burger and I usually associate it with celebrities. They seem to go crazy over it for some reason. I’ll give it a shot anyway next time I am back in Cali! I LOVE Napa 🙂 Drinking a glass of red from there right now actually haha. We went to California as part of our honeymoon and really enjoyed the experience. I love a good taco truck! We have a bunch of them in my neighborhood in Brooklyn, but Mexican food is definitely not a specialty in NYC. I would love to spend a day sampling all of these suggestions! Glad to see that the food is worth all the hype!! I’ve only been to San Francisco and Los Angeles, I find San Francisco is more exciting in terms of food. Lobster porridge in Chinatown, clam chowder along Fisherman’s Wharf, and having ice cream in Ghirardelli Square. How come Ghirardelli is not in your list? Because it is too touristy? Because it’s not typically Californian – it’s all over the US 🙂 I love clam chowder – yummy! The Persian food is really very yummy.All the Persian dishes unique in its taste and have a history which starts from the ancient emperors of Iran.. During my last visit of California i enjoyed some sort of Iranian kabob at one of my Iranian friend place its really great in its taste.